Vancouver Island is part of the British Columbia province of Canada, and is located off the Western coast of North America, just west of Vancouver and north of Seattle. 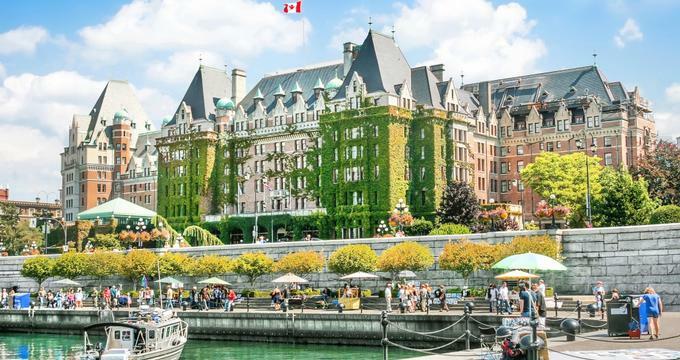 At the southern end of the island is Victoria, the capital city of the province, and the entire island is a haven for nature lovers, with amazing parks, mountains, rivers, and a coastline full of marine life. Visitors to Vancouver Island can take a week-long cruise with Outer Shores Expeditions to see whales, dolphins, and more, or go for a hike in Pacific Rim National Park. Travelers can also indulge in a traditional tea service at Milner Gardens, learn about the First Nations people at Campbell River Museum, or play up in the treetops at Wildplay Nanaimo. 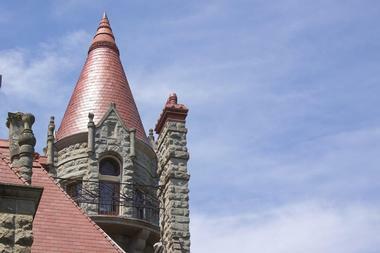 Craigdarroch Castle, built in 1887, has all the romance of a castle in a fairytale and the history to go with it. Built by a Scottish immigrant who made a fortune in the coal industry, the castle was built at the top of a hill overlooking Victoria, and the four-story building is full of incredible stained glass windows and masterfully ornate woodwork. Today, the castle is open for tours, and visitors can explore the 200,000-square-foot castle, see the exquisite Victorian-era furniture, and learn about the Dunsmuir family, who once lived there. The castle is open daily from 10:00am until 4:30pm, with extended hours during the summer season. 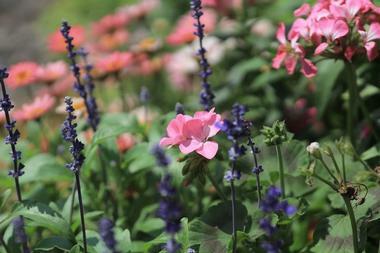 Abkhazi Garden was first planted in 1946 by Prince and Princess Abkhazi shortly after their marriage. The garden has flourished in the decades since, with sloping rocky landscapes, native trees and, of course, many beautiful flowers. The garden is close to the road, although visitors would never believe it, since it feels incredibly secluded and peaceful. Visitors can enjoy the tranquil area and the masterful landscaping, and then indulge in a cup of hot tea, an array of traditional scones and pastries, or a light lunch at the Abkhazi Teahouse, which is renowned for its classic and traditional tea services. The area that is now Beacon Hill Park was once called Meeacan, which means "belly", because the protrusion of the hill from the surrounding area looked like the large, extended stomach of a man lying down on his back. 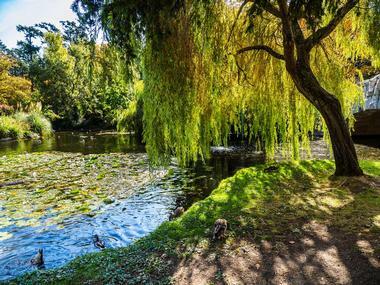 This park, containing almost 200 acres of greenery and gardens, has been a park since 1882. It is located in downtown Victoria and is home to walking trails, playgrounds, sports courts, ponds, and a petting zoo. The park is also home to the world's largest totem pole, which stands at 160 feet tall and was erected in 1956 to honor the First Nations people. 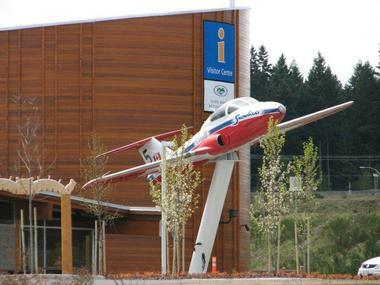 At the Comox Air Force Museum, visitors can take a self-guided tour through the history of aviation in Canada. Inside the museum there are artifacts dating back to World War I, such as uniforms, medals, a pilot ejection seat, and an aircraft engine. There are short documentaries on a number of subjects, with historical footage, interviews with pilots, and more. Outside, guests to the museum can explore the Heritage Air Park, which is home to a number of old aircraft as well as heritage vehicles that were once used by the Canadian Air Force. 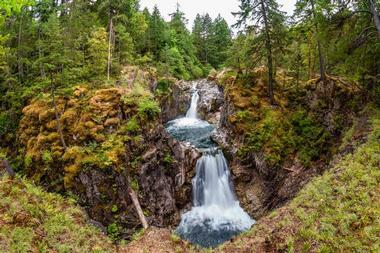 This British Columbia Provincial Park is named for the scenic, thundering waterfall that is its centerpiece. 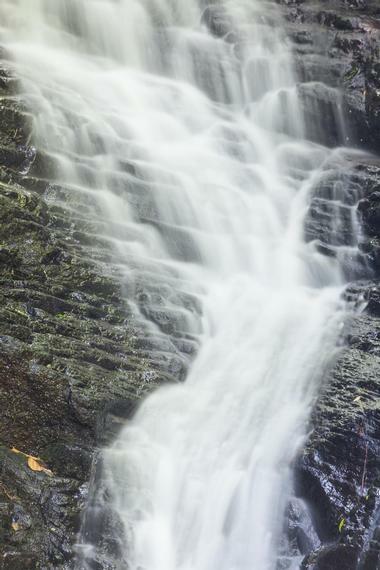 Elk Falls is almost 85 feet high, with steep cliff walls and a pool at the bottom where the river collects and continues after the drop. Visitors to Elk Falls Provincial Park can hike through an old growth Douglas fir forest, go fishing in the lakes for trout, chinook, or salmon, or spend a night camping surrounded by stars and nature. The park contains informational signs, so guests can learn about the local flora and fauna, while the campgrounds are equipped with picnic areas, drinking water, and toilets. Englishman River Falls Provincial Park contains two notable cascades, both situated along the Englishman River, which runs through the park. This 240-acre park contains old-growth forests full of cedar, hemlock, Douglas fir, and maple trees, among others, and is home to several hiking trails where visitors can take an easy hike through beautiful nature, where they will find canyons, waterfalls, and lush green forests. Vehicle-accessible campsites are equipped with drinking water, pit toilets, picnic areas, and campfire rings. Swimming is also permitted within the park, just below the lower falls. 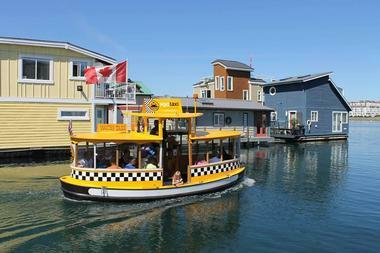 Located in the city of Victoria, just a short walk from the Inner Harbor, Fisherman's Wharf is a fun destination for visitors and locals alike. The floating dock is a great place to see the wide variety of watercraft moored there, including float houses, commercial vessels, and tour boats. The docks are lined with shops and kiosks, selling everything from souvenir toys to clothes and accessories. There is also a wide variety of food offered, and visitors to Fisherman's Wharf can indulge in delicious crispy fish and chips, fresh crab, a cup of hot coffee, or a sweet and refreshing ice cream cone. 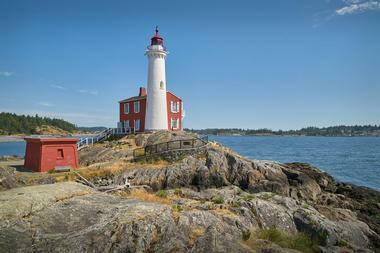 The gorgeous Fisgard Lighthouse is located at Fort Rodd Hill on a rocky patch of land that rises up, surrounded on all sides by the ocean except for a thin strip of land. Visitors to the site will see gorgeous views of the ocean and the snow-capped Olympic Mountains as they tour the grounds of this historic site. The buildings on the property bear a lot of history, and visitors can take a self-guided audio tour of the grounds to learn about the area, historic events, and each of the buildings at the site. There are also guided tours available through the rare Garry oak ecosystem, and guests have the option to spend a night camping under the stars in a heated oTENTik. Little Qualicum Falls Provincial Park encompasses a portion of the Little Qualicum River as well as the southern edge of Cameron Lake. The landscape here is deeply forested, with the steep slopes of mountains rising up from the park's edge. The lake is ideal for boating, fishing, and swimming, and the river is a scenic companion to many of the park's walking and hiking trails. The lake can get quite windy due to the surrounding mountains, so many visitors like to try their hand at sailboarding while out on the water. 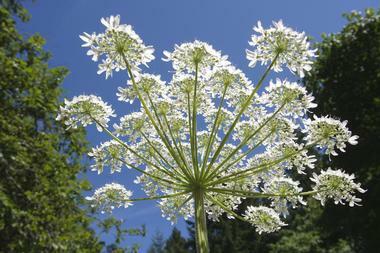 This beautiful natural area sits upon 70 acres of land overlooking the Strait of Georgia. Visitors can take a leisurely walk along the pathways, which are lined with trees, shrubbery, and flowering plants – including a wide collection of over 500 varieties of rhododendron – for a tranquil, peaceful day amongst nature. The historical house on the property was built in 1931 and modeled after tea plantation houses in Sri Lanka, formerly Ceylon under the British Empire. The house has been visited by the UK royal family themselves, and visitors to the house can enjoy a beautiful and delicious traditional tea service, with tea, cakes, and more. 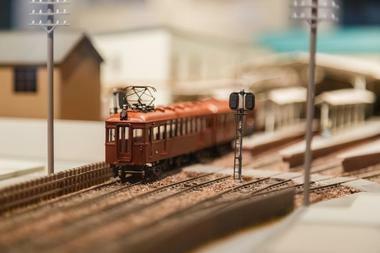 Despite the small size of their exhibits, a trip to Miniature World will leave a big impression. This attraction features 85 miniature railroads, some of the largest dollhouses in the world with over 50 painstakingly detailed rooms, and a number of astonishingly detailed dioramas. Years of work have gone into each of the exhibits, like the Camelot miniature set, which creates a beautiful visualization of the legendary King Arthur and his knights at the Round Table. Guests will wonder at the detail of Charles Dickens' London, a classic circus set, and even a space scene set in the year 2201. 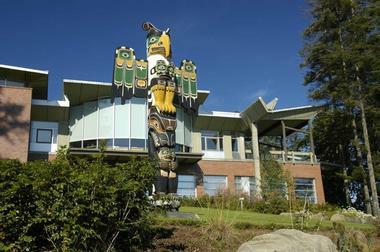 The Museum at Campbell River is an ethnographic museum that displays and educates about the history of the region and the people who have lived there. 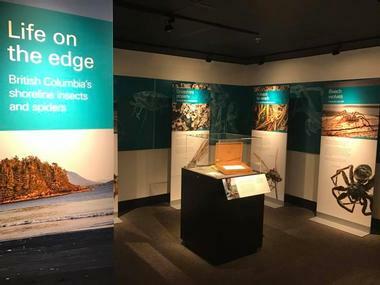 Begun in 1958 with one small exhibit, the museum has grown in the decades since to comprise exhibits pertaining to the First Nations people, the lifestyles of early pioneers who settled on Vancouver Island, the early salmon fishing industry, and more. The museum contains artifacts and even relocated structures like a pioneer's cabin, the historic Willows Hotel, and a log float house used in the commercial fishing and logging industries during the 1920s. 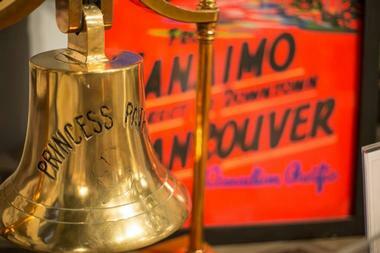 In the Nanaimo Museum, visitors can discover the history of the Canadian city of Nanaimo. Exhibits feature a 1920s schoolhouse, the history of the Nanaimo Bastion, stained glass, artifacts, and signs from historical Nanaimo businesses, and tools from the early logging and coal mining industries. There are also exhibits about the First Nations people of Nanaimo, wherein visitors can get a feel for life inside a traditional Snunéymuxw longhouse and view artifacts and tools used in everyday life in a historical culture. The museum is open Monday through Saturday, from 10:00am until 5:00pm, and during the summer, the museum is open 7 days a week. With Outer Shores Expeditions and Wilderness Tours, guests can see Vancouver Island and the beauty of British Columbia from the water on a small ship expedition around the coast. 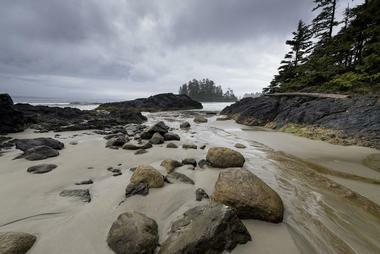 Outer Shores offers expeditions all over British Columbia, but their Vancouver Island tours include Northern Vancouver Island, the Southern Gulf Islands, and Pacific Rim National Park. 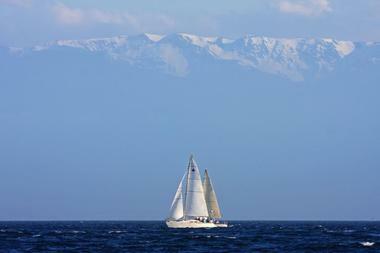 Guests can take a week-long cruise around the island to see whales, dolphins, and birds from the decks of the vessel. The ship will put into port so that guests can visit local vineyards and farms, eat amazing, local, and fresh food, and explore the amazing wilderness of Vancouver Island's parks and old-growth forests. 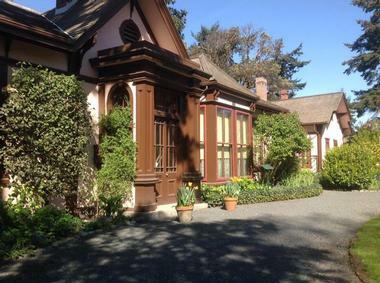 Point Ellice House is a gorgeous historic Victorian home dating back to 1861, when it was built by the illustrious O'Reilly family. The house was their home for over a century until 1975, when it was sold to the province of British Columbia. Every single one of the family's possessions was left behind in the house, including furniture, clothing, board games, silverware, and musical instruments. The items on display today are all from the period of 1890 to 1920. It is one of the largest intact collections of Victorian objects, and the home is open for visitors via a guided tour. Tours are discounted if visitors are also planning to enjoy tea in the teahouse, where they will be served finger sandwiches, scones, and cakes. The -island-things-to-do-quatse-salmon-stewardship-centre.html" target="_blank">Quatse Salmon Stewardship Centre is located in Port Hardy, on the north end of Vancouver Island. 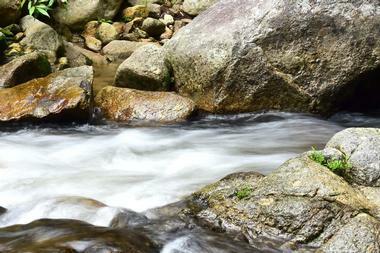 This place is dedicated to salmon conservation and education efforts in the region. Visitors and fishing enthusiasts will love the educational exhibits about salmon, their environments, and their unique characteristics. 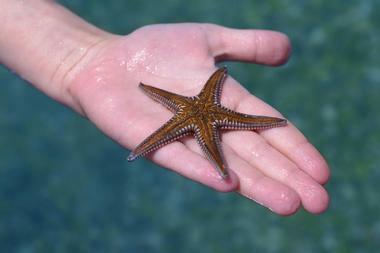 Guests will even have the opportunity for a hands-on encounter with these fascinating fish. 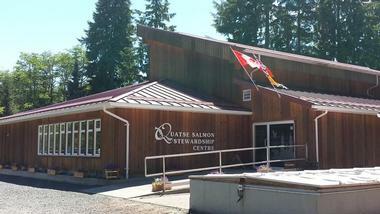 The Quatse Salmon Stewardship Centre, as well as the salmon hatchery, are open daily from 10:00am until 5:00pm, and they offer tours, workshops, special events, and educational courses. The Royal British Columbia Museum, located in Victoria, has over six million items in its collection, each pertaining to the history and culture of the province of British Columbia. The museum's collection includes exhibits on a wide variety of topics related to natural and human history. 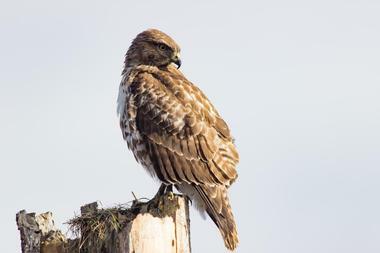 In the realm of natural history, visitors will have the opportunity to view specimens and skeletons of mammals, fish, whales, birds, and other animals, most of which are native to British Columbia. In the human history section of the museum, visitors will find archaeological artifacts from up to 10,000 years ago as well as exhibits devoted to ethnology and modern history. The Shaw Centre for the Salish Sea is a public, not-for-profit aquarium where visitors can view and experience over 160 varieties of sea life as well as exhibits and art collections pertaining to the Salish Sea. With school programs, special events, and lecture series, the Shaw Centre for the Salish Sea has a wide and varied array of educational tools to teach its visitors about this incredible diverse ecosystem, one which contains many keystone species like the orca whale and the Pacific salmon. The Shaw Centre for the Salish Sea is open daily from 10:00am until 4:30pm, and the last tickets of the day are sold at 4:00pm. 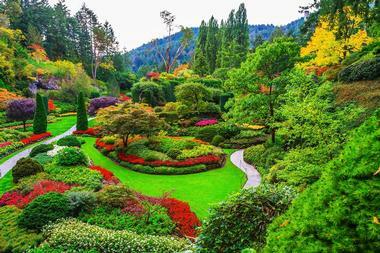 The Butchart Gardens first began over 100 years ago, when a woman named Jennie Butchart began to build and grow the garden in the massive gaping pits left by her husband's limestone quarry. Tons and tons of soil were carted into the quarry by horse and by hand, and from the years of 1906 to 1929, the Butcharts worked the land into a beautiful and unique garden, with impeccable landscaping, a wide variety of plants, and even ornamental birds like peacocks who lived on the land. Today, visitors can see over one million plants in bloom at the gardens, especially during the months of March to October. Located in the city of Victoria, the Bug Zoo is a family-friendly destination offering visitors the opportunity to get up-close and personal with approximately 50 unique species of live insects from all over the world. At the Bug Zoo, guests will see glow-in-the-dark scorpions, egg cases, and the inner workings of the largest ant farm in Canada. Guests can choose to interact with and handle giant hairy tarantulas as well as many other fascinating insects. Experienced guides will always give guests a personal tour of the zoo, dropping fun facts about its residents and allowing guests to interact with the bugs along the way. 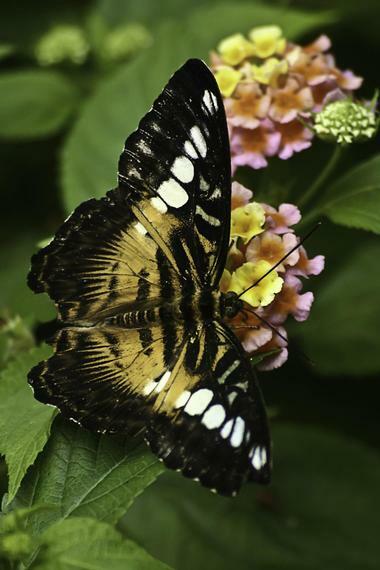 There are over a thousand butterflies representing almost 75 unique species in the Victoria Butterfly Gardens. This family-friendly attraction is fun, educational, and incredibly beautiful. The stunning, colorful gardens are full of tropical flowering plants and inset with winding walking paths, where lucky guests will find themselves as a perch for butterflies. 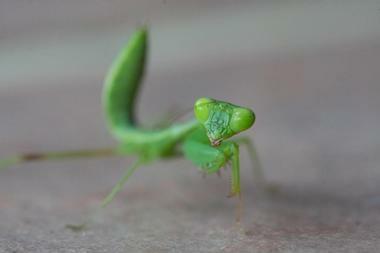 Those with keen eyes may also spot other species of animals in the gardens, like flamingos, iguanas, frogs, and more. At the insectarium, guests can see and learn about a number of other insects. 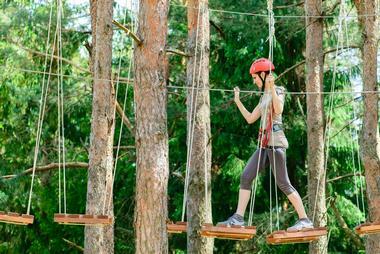 This natural amusement park allows guests to have the adventure of a lifetime in the treetops of Central Vancouver Island's forests. Adventure courses will take guests up into the canopy, where they will traverse wobbly suspension bridges, swing on ropes, ride a zipline, and even walk a tightrope. With the bungee jump, visitors can leap from a steel bridge to free fall for 150 feet toward the Nanaimo River, before bouncing right back up again. 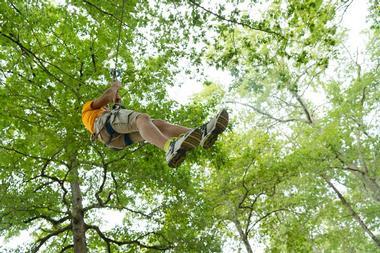 A zipline tour will take guests soaring through the treetops, while the Primal Swing will send them flying out in a soaring arc over the River Canyon at high speeds. At Adrena LINE, guests will soar through the green canopies of Vancouver Island's rich temperate rainforest, at up to 150 feet above the ground. There are eight ziplines included on the tour, which range in length from 150 feet to over 1,000 feet, and tours, which are led by experienced and trained staff members and last about 2.5 hours from start to finish. If for some reason that's not enough fun, Adrena LINE also offers a series of adventure packages for guests, including rainforest hiking tours, coastal kayaking, and whale watching at Race Rocks.